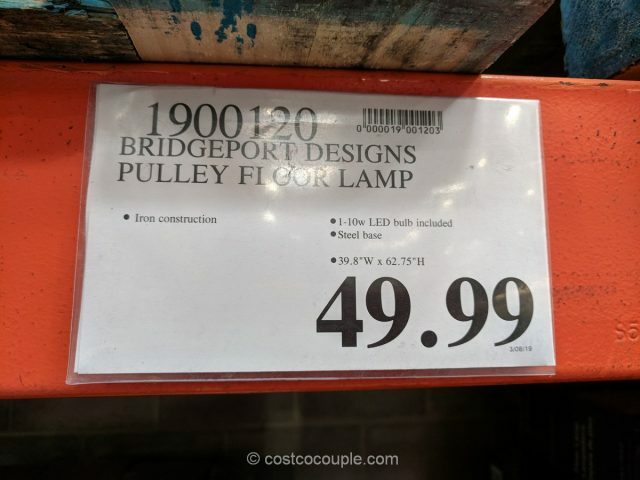 The Bridgeport Designs Pulley Floor Lamp is a really interesting looking lamp. 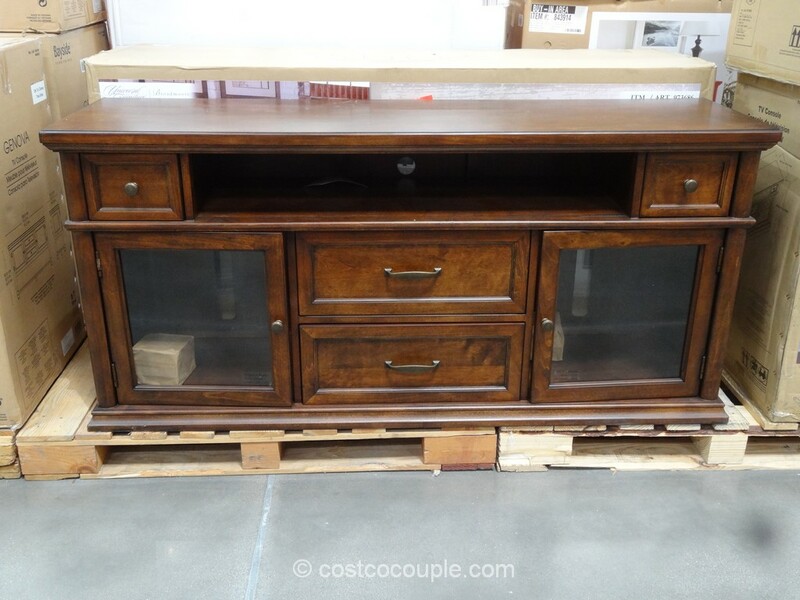 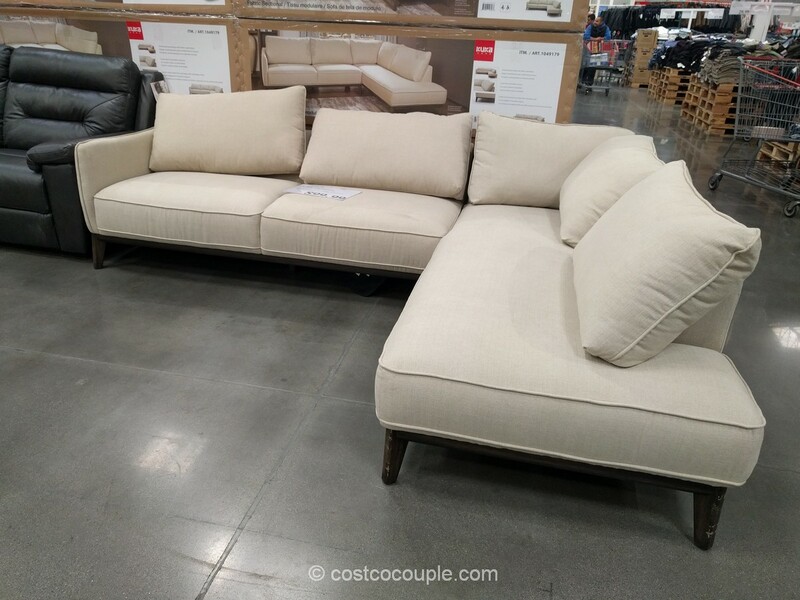 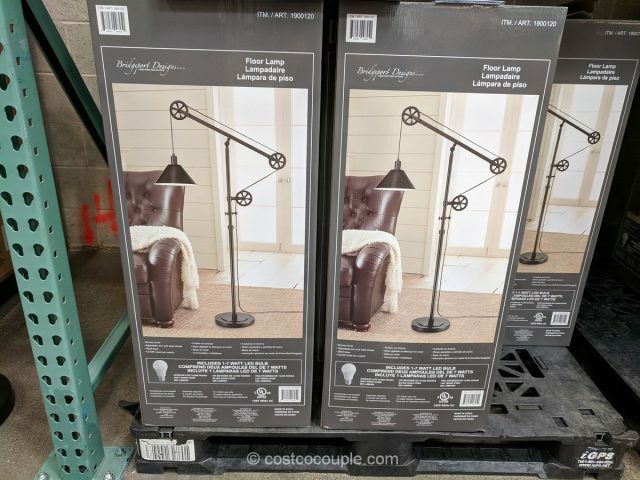 It’s also one of the items listed under “Exclusive Buyers’ Picks” in Costco’s March 2019 Coupon Book. 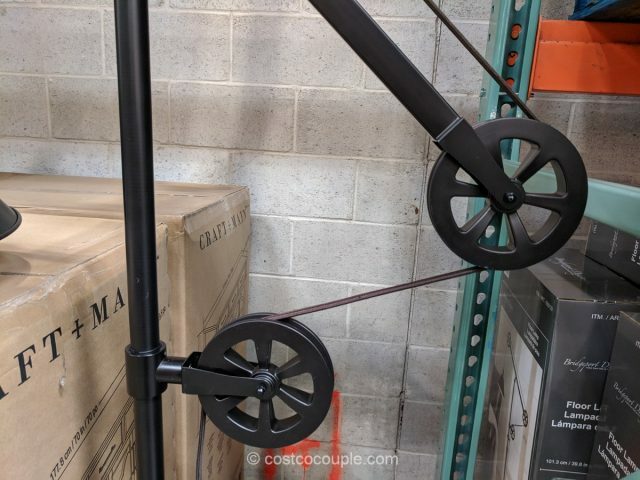 This lamp features 3 pulleys with an adjustable arm and steel shade. 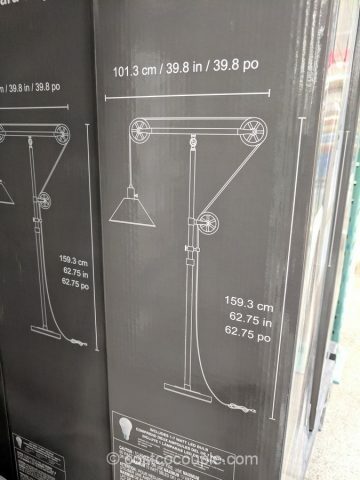 It’s constructed of iron with a bronze finish. 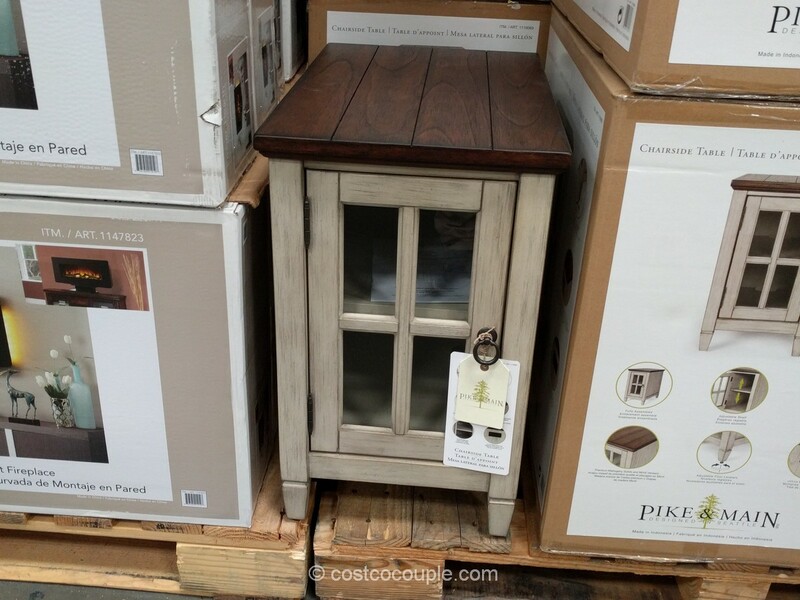 There’s an on/off metal turn switch. 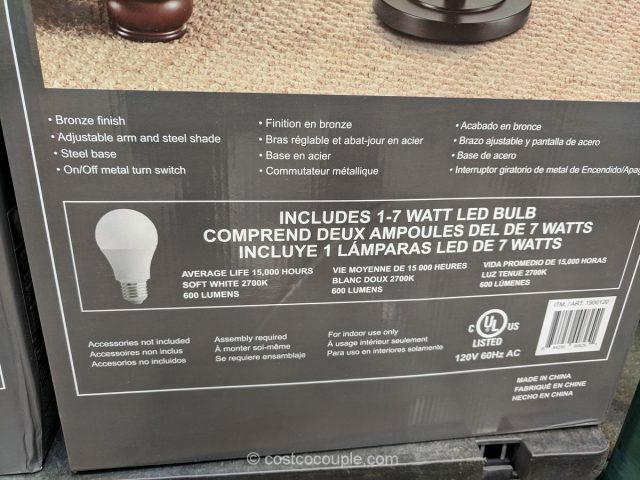 A 7-Watt LED bulb is included in the box. 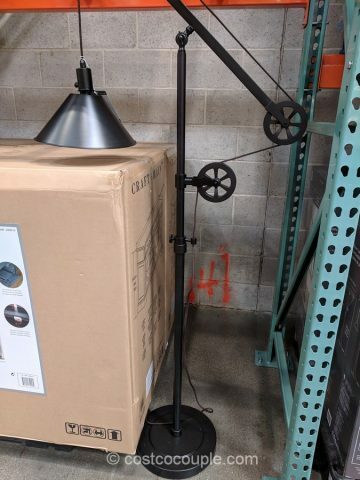 The Bridgeport Designs Pulley Floor Lamp is priced at $49.99.